The firm brought on Dawn Langeland as deputy MD three months ago. 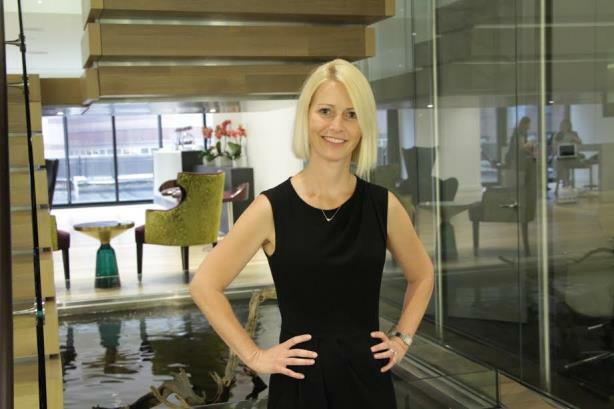 NEW YORK: Golin has upped Dawn Langeland to MD of its New York office, just three months after the firm brought her on as deputy MD. Langeland will continue to report to Matt Neale, Golin co-president of New York and president of EMEA. She succeeds former Golin New York MD Tony Telloni, who joined Sparkpr as GM in its New York office in May. She is responsible for driving growth, managing the office’s major account relationships, day-to-day business opportunities, and new business development. In April, Langeland joined Golin as deputy MD of New York and head of the office’s consumer practice and its catalyst and creator groups, two units developed as part of Golin’s g4 reorganization put into place in 2011. Langeland told PRWeek that her previous responsibilities as deputy MD will be folded into her new role. "This is an expanded role with more responsibility for the overall office," Langeland said, adding that she is overseeing more than 50 people at the firm. "I am thrilled to be expanding my role and shaping the future of the New York office." She added that Golin is focused on providing clients with bold, creative work and she "hopes to continue that legacy and take it even further." Langeland has been a "driving force" on new business wins, including the agency’s recent appointment as PR and social AOR for Kayak and its work for NYX Cosmetics, the firm said in a statement. Before joining Golin, Langeland worked at FleishmanHillard for 18 years, most recently serving as senior partner and global consumer products sector lead. Fleishman promoted Langeland to her most recent global role last October after overseeing the consumer products sector for the Americas since April 2014, according to her LinkedIn profile. She held roles at the Omnicom Group firm including managing supervisor, VP, and SVP, and worked across sectors such as CPG, food and beverage, healthcare, travel and tourism, and government relations. Previously, Langeland worked at DeVries Global and Rubenstein Communications. She has supported clients such as L’Oreal USA, Hyatt Hotels, Perdue, Nike, and Procter & Gamble throughout her career. The National Peanut Board said last week that it has expanded the responsibilities of longtime PR AOR Golin to cover its advertising and marketing accounts, effective November 1. This story was updated on July 15 with comment from Langeland.